We got married 2 weeks ago and since then we’ve thinking about how we could ever come close to expressing how magnificent Anna is. When we were looking for a photographer, a lot of our friends told us "your photographer is more important than the bride’s dress, you need to get along with him/her bc you're gonna spend ALL day with them”, best advice ever. My husband and I are both graphic designers, so choosing the right photographer was a big deal for us. We met with a lot of photographers, but the day we met Anna we knew right away she was the one. Her portfolio is amazing. She is kind, punctual, friendly, talented, easy going, detailed oriented and extremely professional. The cherry on top, she offers different price ranges depending on your budget and this was great because we were able to hire her for our rehearsal dinner, ceremony and reception. She always got there on time and with the best attitude. She got along with everyone and even helped with stuff she didn't have to. She went above and beyond to capture every single moment and detail. I woke up the next day and I already had an email with a preview. Overall, her job was flawless. Everything she said she'd do, she did (and more); and since then ,she's met every single deadline. All the pictures are breathtaking, she did an outstanding job. We are beyond satisfied, so much that a week after the wedding, we hired her again for a family event and we will keep on hiring her because she is AWESOME! I planned our Sanibel, FL, wedding from Dallas, TX, and was worried about photography. Anna definitely put all my worries to rest -- she answered all my emails promptly and even had a Skype date with me so we could get to know each other before the big day. The day of the wedding, I woke up literally covered in hundreds of bug bites (thanks, noo-see-ums!). I was upset that I would look awful in my pictures, but Anna was able to retouch the photos. No one can tell I was covered in ugly red spots. Out photos turned out beautifully. I couldn’t have hoped for a better photographer and a better experience working with her. Anna is such a pleasure to work with!! Responsible, attentive to details, flexible... all of it. This was actually the second time hiring her, after she photographed my sister's wedding a couple of years ago. She got the vibe of my party and went with the flow, resulting in gorgeous Pinterest worthy photographs. Anna even came to photograph the rehearsal dinner! Loved it. Highly recommended! If you want a photographer who will respect and understand your personal style and produce beautiful work of art, Anna is it! We were referred to Anna through a friend of mine who had her beautiful wedding photography taken by her. From the moment we contacted Anna, she responded extremely fast to our inquiries, request for service quote, and sample images - we hired her immediately! Anna's photography is just what I wanted - creative, fun, beautiful images. She made my husband and I feel comfortable during the photography session, and suggested things that would make the photo a stand out (location, lighting, etc.). I would love to work with Anna again - highly recommended! We selected Anna as our wedding photographer because of her style of photography. We absolutely love the combination of posed and interacting pictures. She met with us a couple of times to go over our timeline and visited our venue with us to cover photo options for our group pictures. She was on time to all our appointments and on the day of our wedding, she covered all of our must have pictures. This is the best part of the wedding and well worth it's value of the emotions we feel looking at our photos. The service that Anna has provided us has been so great. The moments that were captured at our wedding by Anna are just beyond words. We are so grateful to have her witness and photograph all of the events leading up to the biggest day of our lives. Delightful Pictures and delighful to work with! We hired Anna Eli Photography for both our engagement and wedding pictures. Anna was perfect to work with in every way. Punctual, professional, and she took amazing photos. She also delivered the photos as promised right on time after our event and went above and beyond to make sure she got all the shots we wanted. We highly recommend Anna! 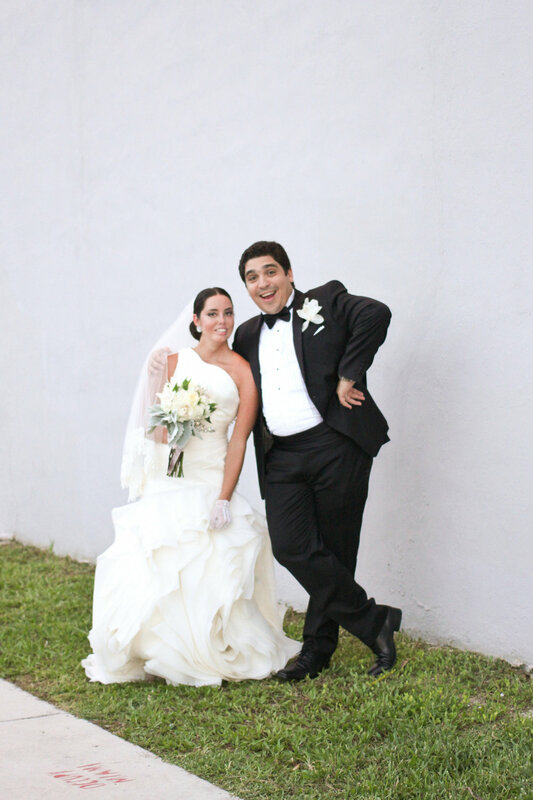 Our pictures came out beautifully!!!. Anna has an eye for photography. Her photography is unique and her pictures have that soft romantic feeling that I was looking to have to remember my wedding forever. Anna made sure to get pictures of all my guests. Anytime anyone asked her to take a photo she ran over and did it right away. Anna handed out cards to my guests with the wedding picture website so it would be convenient for them to see all the photos. She had our sneak peek done the very next day when most photographers take a week. Everyone commented on how sweet and professional my photographer was at the wedding. She was there from beginning until the very end. She never missed a moment. Anna is amazing!!! My pictures are worth a thousand words. From the beginning, we knew that Anna would be the right photographer for our event and she did not disappoint. We seriously are very impressed, especially since we dabble in photography ourselves. All of our photographs turned out more beautiful than we could have ever imagined. Anna captured the feelings and the beauty in every photo and she was a pleasure to work with! 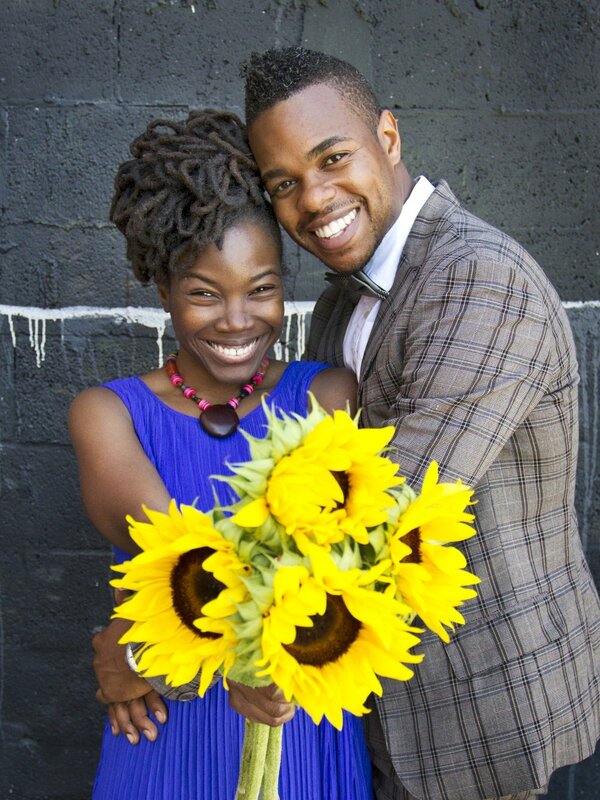 Our engagement shoot was amazing, thanks to her relaxed and creative style that allowed us to have a lot of fun. She also provided us with wonderful ideas and was diligent in responding to our emails promptly and answered all of our questions prior to the shoot. Anna is a professional and talented photographer and we will be recommending to everyone we know. There is no doubt in my mind that she will capture every moment on our wedding day and I cannot wait to relive it through her stunning photographs. I could not have asked for a better photographer for my engagement shoot! Anna was amazing! She was very patient and made my fiancé and I feel very comfortable. In the beginning, it wasn’t very easy to “act natural”, but Anna made us feel at ease instantly. We weren’t really sure about what props to use or what poses to do, but Anna gave us great direction and the photographs came out beautifully! She was able to capture the light and the scenery of the Barnacle perfectly. She was such a pleasure to work with and I look forward to many more photoshoots with her! One Happy Couple!! We are so happy we found Anna!!! She was just a breeze to work with and I had nothing to worry about. She knew exactly what we were looking for as far as our style of photos and she delivered!!! We loved working with her, she is a true professional and will make sure you receive exactly what you want. She was super flexible and could accomodate to our needs and especially on that crazy day! Our families and guests were so happy with her and they all LOVE the photos!! She captured the exact feeling of that whole day and we get so many emotions looking at those photos!! Thanks SO much Anna!! We are beyond happy you were our wedding photographer! Anna, you did an amazing job. I simply cannot put in words the gratitude we feel towards the effort and amazing quality you put into your work. We felt you were our life-long friend walking with us through one of the most important days in our lives, and you did exactly that, not just a photographer, but as a life-long friend. Alejandra and I are ecstatic about the outcome of having found you along the way. I want you to know that this is probably the best spent money in the wedding, this is what we'll get to keep for our entire lives. Again, I am personally amazed - you know how to capture unrepeatable moments in the most beautiful ways. Snapshots of people's lives which bring back memories, emotions, and more back to life. BIG HEARTFELT THANK YOUUUU - on behalf of Ale and myself. Anna did a wonderful job! 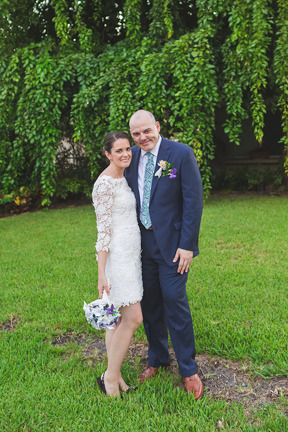 I live in Indiana and had my wedding on Singer Island, FL. She was wonderful to work with over the phone, through email, and in person. Her service was awesome, she was so personable, and all of my guests LOVED her! The photos turned out better than I could have imagined! You really do get a fantastic value when it comes to the services she provides for the cost. Great pictures! Anna did a great job and was a pleasure to work with. She captured all of our special moments. The pictures look better than we could have dreamed of. 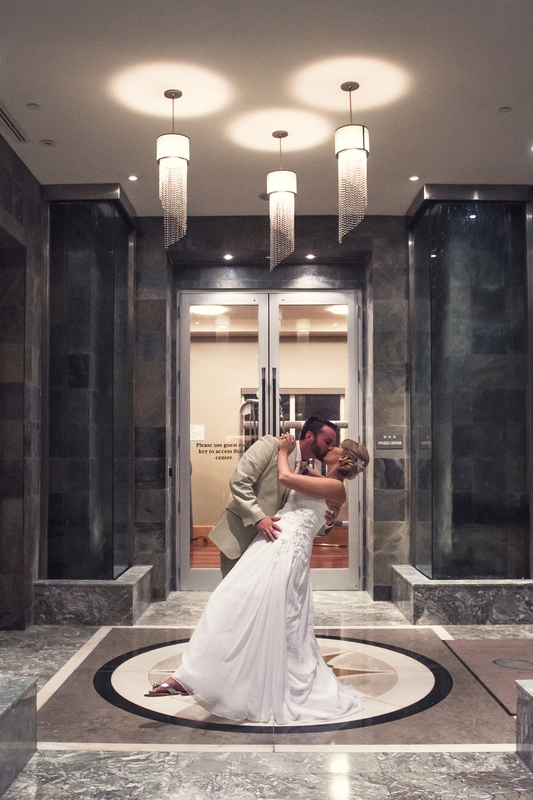 Anna was an amazing photographer and extremely responsive and professional from the first meeting through our wedding. She went with the flow of the event and wasn't pushy or obstructive like so many photographers can be. I've only seen a preview of our photos but I'm already in love with them and cannot wait to see the rest. Anna provided the most incredible experience for Kevin and I. Our wedding day photos are a story from beginning to end. Anna's unique aspects, vision and talent provided the perfect memories. Anna captured the essence, not just the photos of our ceremony. I am amazed and incredibly blessed to have found her. We are from Chicago and planned our private only ceremony for the two of us, and the photos tell this story of our happy day, eloping and love. I cannot wait to return to Miami for an anniversary and have Anna capture some moments with us! My house tells the story of our love through her camera lens! Thank you Anna! Like most couples who aren’t sure about what color scheme to pick for their wedding or even what dishes to serve, we’re glad we found Anna because it was one decision we didn’t have to give much thought to. The day of our engagement shoot, it looked like the sky was falling - there was a 50% chance of rain according to few of the weather websites, but Anna stayed positive, assuring me the weather could turn around. We’re in South Florida after all! And sure enough, it did. Our photos are amazing! Plus, Anna was very much willing to work with our ideas, she’s a great communicator and always gives expert suggestions. My fiancé and I can’t stop looking at the photos. Each time we browse through them, we find a new detail to love and that makes us so excited about our wedding day! Thank you, Anna! Anna, you're so awesome! I totally appreciate you with helping me plan the details and capture the moments of my surprise marriage proposal! 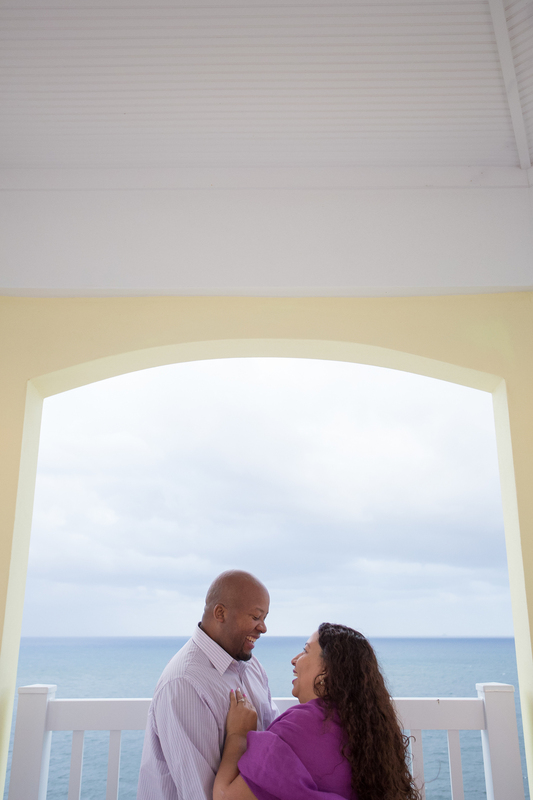 Laura is on cloud nine right now and she absolutely loves, loves, LOVES the photos that were taken of us on the rooftop at The Pelican Grand Resort Hotel. The photos were so personable and very natural! We will definitely want you to be a part of our special moments for our engagement and wedding, not only as our photographer, but as a dear friend. The best & sweetest photographer ever!! I found Anna online and loved her work from the moment I saw it! I am beyond happy with all of the pictures. Our wedding was in Islamorada, Fl and she drove down the day before, met with me on the property and started snapping away even before our actual wedding day. I am completely in love with every image and I am so happy that we choose her as our photographer for our wedding day! As a couple who are both perfectionist designers, we can really say that Anna’s photography is a work of art. Not only did she capture the best angles for the both of us, but she also managed to capture the magnitude of every second. We relive our wedding through her photos every time. But what we most liked about Anna Eli Photography was Anna. She has this charm that makes you feel completely comfortable during your photo shoot. And plus, we just simply had a lot of fun! I stumbled on Anna's website and immediately loved her work. She is such a pleasure to work with, from the very beginning she answered all of my questions and was very professional. She made us feel very comfortable and guided us throughout the shoot. We are absolutely delighted with our photos and couldn't ask for more. She did a fantastic job! These are memories we will share with family and friends over years to come by. We are so glad we chose her to capture such great moments. We definitely recommend her. Anna is amazing! She is very professional, courteous and calm! I found Anna online while in Florida from Arizona. I only had a few days to get things organized in person and had my work cut out for me. I made a call to Anna, we met 3 hours later and I booked her on the spot. She took the time to do a site visit a few days later and had a great time scouting all the locations that we wanted to use for the wedding. The day of the wedding, she arrived on time, and just blended in...which is just what you want. She was able to get shots of the girls getting ready, and meet my husband and the rest of the boys just as they were arriving at the hotel. The ceremony shots were incredible and the family portraits, formal and informal, were amazing. My husband and I headed off to the beach for a few intimate images and Anna was able to get the most amazing image of us! We will cherish our special day for years to come, and thanks to Anna, we have the images to keep the memories alive. I had a lot of fun during my photo shoot. Anna did an amazing job. She provided me with a lot of direction and introduced many creative ideas I never would have imagined. She was also very receptive to my ideas and thoroughly explained the process when I asked about certain shots. I enjoyed the entire experience and learned a lot about being the subject of a photo shoot. I can honestly say that I would use her services again. The best choice we ever made for our wedding. Her kindness, professionalism and creativity took our engagement session and wedding pictures to another level. She really takes that moment, that second, that space and that angle where the space and time combines so perfectly, that you will revive the whole event again and again, wherever you are. From the beginning, she took her time to listen to what we wanted, to capture our style and enhance the ideas from a professional point of view. Her humbleness and spontaneity creates the perfect mélange for your event to be remembered by you and your guests. We feel blessed finding Anna for the impressive baptism ceremony of our kids. She was so creative, professional, and friendly. We definitely recommend her to everybody who needs to have quality and humanity at once. Staying in a cold and windy winter here in Lithuania, we live a dream to have some special moments in Florida again with Anna. We are looking forward to having her at the most important events of our family with all our respect and the biggest pleasure. Having Anna with us, among all the persons involved in the success of our wedding, was one of the best decisions we made. The creativity in her shoots that are reflected on her website helped us to take the decision to work with her and the results of our engagement and wedding pictures were really amazing and beyond our expectations. Anna's kindness and relaxing attitude during our engagement photo session helped us to release all the tension accumulated during the week prior to our wedding. She was a blessing for us and we will always try to contact her for the biggest events in our lives from now on. Paul and I were extremely happy with your picture perspectives and the moments you captured. May God continue to bless your work. We were so happy to have met you and look forward to continue keeping our family memories with you. The company itself offered wonderful packages and Anna was able to match the service to our needs. Anna was incredible to work with, amiable and professional with a true artist’s eye! Thank you for capturing every detail of our law firm’s 10th year anniversary party. My experience with Anna and her professional service was EXTRAORDINARY. I hired her to take pictures of my 50th Birthday Party celebration and what I received in return were guests wishing to purchase, not only their own pictures, but ALL of my party pictures. I loved the way Anna captured the hugs, the greetings, the smiles and the laughters of my guests. She also captured the very small details, for example, my table decor and settings of all my arrangements, my color scheme, and backdrops that in return, I would've missed if I were my own photographer. Her pictures had that smooth, warmth feeling. I let her have her space, without direction, and the essence of her keen eye, captured beautiful shots that the guests nor I could've seen. I recommend Anna Kim to everyone and anyone wishing for lasting memories of their special event. I only wish I could do it all over again. Thank You Anna! So glad we chose Anna :) She was very prepared and knew exactly what she was doing. She knew where and how to take the pictures and did fantastic. My husband and I at the time didn’t really have much money to even afford a photographer seeing that they’re so expensive and had a baby on the way, but we were able to work something out with Anna. She took amazing pictures! I remember at the wedding everyone kept telling us how great she was and how hard she was working :) She made this experience for us one of the best and now that we have our daughter, we can share with her our memories. If you need a photographer, I highly recommend Anna. She was definitely an important role in our wedding and we’ll never forget her hard work and dedication :) Everyone should hire her for special moments and experience her talent that she has. Anna is amazing! I am extremely fussy when it comes to photography and was struggling to find someone who’s work I actually liked, let alone them being in my price range. And then I found Anna, and fell in love with her work. She is fantastic to work with - she listened to what I wanted in terms of pictures, and was great at wrangling my rowdy wedding party to help get the shots I had wanted (not to mention put up with the non-stop jokes from my groom and his crew). Her turn-around is so fast, and I already have all my photos back. And I love them all so much. I couldn’t have picked a better wedding photographer, and you won’t either. You’ll love Anna and her work, I promise! Anna was refreshing to work with. She was very patient with me and went the extra mile for the shoot. She is professional and reliable. Her creative eye really helped capture unique shots. I have referred clients and partners of mine who had everything positive to say about their experience with her. Totally worth it. Where do I start... You helped me feel very confident and comfortable throughout the entire photo shoot. It was a pleasure to work with you and I see you becoming a household name in the future. We’re looking forward to having you as our photographer personally and professionally, for family gatherings and speaking engagements. I wish you a prosperous and healthy life forever. God has blessed you with the ability to capture the moment and create beautiful art. Your pictures speak 1,000 words with just one photo. Thank you for believing in me and what I was created to do for the world. I will continue to promote you for as long as I live. I LOVED working with Anna. Coming from New York City, my expectations for a photographer were high, but I also wanted something that was original and interesting. Anna met and exceeded all of those needs. She was flexible and easy going with all the looks I chose, totally willing to find new and exciting backgrounds to shoot on, and do the most amazing things with natural light! She gave me a head shot portfolio that was totally unique, tailored to my personality, and definitely stands out at auditions! I strongly recommend! To be prepared and to be on the same page before the shoot is very important. With ideas, clothing, timing, locations, and scheduling, she made that clear from the beginning. Right then, I knew I will be working with a photographer that is well prepared and takes her work to a professional level. When it was time to shoot, everything went smoothly. I felt very comfortable working with Anna. She’s spontaneous, creative, unique, easy going, and fun. It was a great experience and she was a pleasure to work with. After relocating my Pilates studio, the studio’s website needed renovations, and new photographs were a must. I needed to find a photographer who was flexible enough to accommodate the schedules of my 12 instructors, and I also needed to find a photographer with reasonable prices. After asking my colleagues for recommendations, I was referred to Anna. She made the scheduling process easy, and she even scheduled a 2nd photo shoot to accommodate several instructors who could not attend the original shoot. Each photo shoot was well managed and time efficient. I was especially happy with how quickly she delivered the finished, touched-up photos. Anna’s photos have changed the look of my website and my business is better for it. First and foremost, I would like to say it was a pleasure working with Anna. She is a unique photographer in my eyes. I really like the fact that she is simple, but that’s what makes her and her work stand out. She is definitely worth it and her work is self explanatory. We will definitely be meeting up again in the future. A true professional. I highly recommend working with Anna. She’s a magician with natural light and spots the most interesting textures and backgrounds. (She’s also incredibly kind and quite the trooper: she trekked around Wynwood in the blazing summer sun for two hours with me!) She made me feel at ease, so I looked my best and most natural. My headshots came out fabulous and helped secure a new agent and numerous auditions. I will absolutely work with Anna again.